John Lewis has cut its annual staff bonus to just 6%, the lowest level since 1954, to enable it to maintain investment levels in the face of “an increasingly uncertain market this year”. The partnership achieved profits before exceptional items up 21.2% last year, however chairman Sir Charlie Mayfield said this figure was flattered by lower pension accounting charges. “After excluding these and our long leave accounting charges, our profits before exceptionals increased by 1.9% in spite of trading pressures and investment in pay,” Mayfield said. “There are also a number of exceptional items in our results this year, which reflect the steps we are taking to adapt the Partnership for the future. 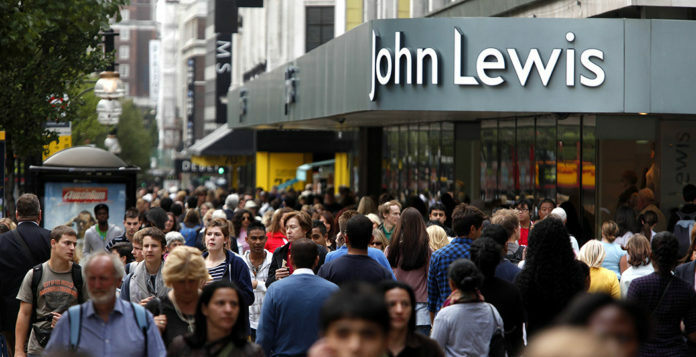 After including these exceptional items, the operating profit in both Waitrose and John Lewis was below last year,” Mayfield added. The 6% bonus is down on last year’s figure of 10% and is the lowest the partnership has awarded since 1954, when the figure stood at 4%. The company had flagged in January that it expected to award a significantly lower bonus this year and 6% represents around three weeks’ pay. Mayfield also pointed out that the average non-management salary had risen by 5% this year. “[The] bonus is lower because the Board has decided to retain more of our annual profits in order to strengthen our balance sheet. This allows us to maintain our level of investment in the face of what we expect to be an increasingly uncertain market this year, while absorbing the costs associated with adapting the Partnership for the future,” he said. Total group sales for the 12 months to 28 January 2017 were £11,374m, up 3.2% while profit before exceptional items was up 21.2% to £370.4m. An exceptional income of £207.2m mainly includes £270m income for a reduction in pension liabilities, offset by a £42.9m charge for write down of property and other assets, and related costs, and £20.7m charge for restructuring and redundancy costs.